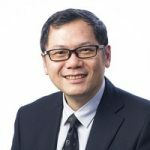 Professor Chan obtained his BSc in Chemical Engineering from the University of Texas at Austin in 1986 and PhD in Chemical Engineering from the California Institute of Technology in 1992. Professor Chan has over 25 years of research experience in air pollution and aerosol science. He specializes in aerosol water uptake and phase transformation, gas-aerosol interactions and the formation of secondary aerosols in the atmosphere, and laser spectroscopy of aerosols. He was Science Advisor to Secretary of Environment during his sabbatical at the HKSAR Environment Bureau in 2014. He has been an Editor-in-Chief of Atmospheric Environment since 2008.